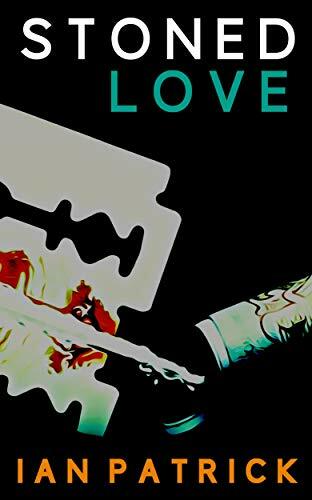 Today we have a book review spot for Stoned Love by Ian Patrick. Our review today is by Love Books Group guest blogger Tanya Kaanta from Colorado USA. I understand why the BBC just optioned Book one of Ian Patrick’s Sam Batford Series. Sam is a complicated antihero, one who takes us on an adventure, bends the law, has loose boundaries on morals, yet still manages to win the reader to his cause. Stoned Love is the second book in the series and from page one, I’m drawn into the story. The action starts with the first sentence and I’m on a whirlwind, hooked into the story, wondering where the author will take me. I observe the rat. It’s twitching, convulsing, foaming at the mouth. Its eyes pulsate at odds with its erratic heartbeat. I haven’t touched it. I’m just watching it die. I don’t wish to intervene is a sentient being’s death. It’s chosen this path and taking a drug has its consequences. You see, this dirty rat has just consumed a corner of my kilo of cocaine and is now having a seizure as a result. In a nutshell, without giving too much away, Sam is an undercover detective being chased by one crime organization, under investigation by another, and trying to infiltrate a third. Drugs, loyalty, and clever analysis play center stage, as Detective Batford outmanoeuvres the growing list of people with a price tag on his head. In this second installment, Sam finds himself hunted by corrupt organizations on both sides of the law. Whether Sam is one of the good guys or not still remains to be seen. I rather see him as a complicated and layered man who ultimately has society’s best interest in mind, though is unafraid to break the rules for his end goal. The cinematography and the character development make it feel like I’m inside Sam’s head. From the vivid description and Sam’s voice, I’m picturing the book as if I’m watching it on a screen. Honest, I can’t wait to see this series played out on the big screen. And I’m thrilled book one was optioned for a 6-part series, rather than a movie. So much more ability to finesse and tease out the gems from this story. Keep writing, Mr. Patrick. I’d love to see this turn into an ongoing series.